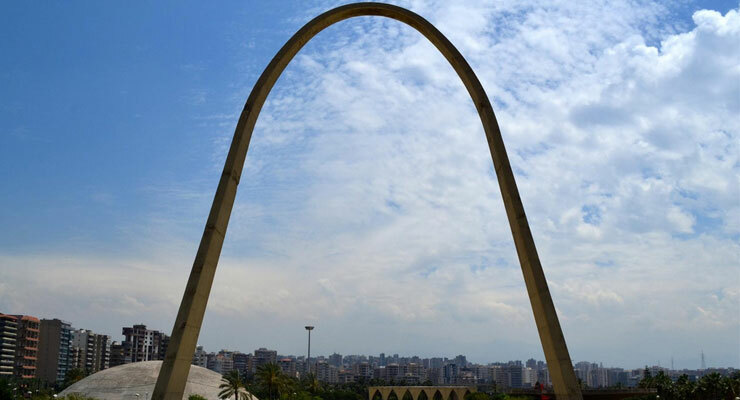 The Tripoli Special Economic Zone (TSEZ) has launched an international competition for the architectural design of a Knowledge and Innovation Center (KIC) at the Rachid Karami International Fair in Tripoli. 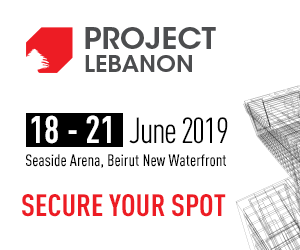 The competition will be managed by the Lebanese Federation of Engineers and Architects, endorsed by the Union of International Architects (UIA), and supported by Union of Mediterranean Architects (UMAR). The KIC is planned as a business and technology park that accommodates and fosters the growth of entrepreneurs, start-ups and SMEs in Tripoli and the greater North Lebanon governorate. The goal behind this project is to revive the landmark facility designed by legendary Brazilian architect Oscar Niemeyer, one of the key figures in the development of modern architecture. Niemeyer designed 15 structures at the Fair in 1963. It remains unfinished due to the project’s abandonment during the country’s civil war, which started in 1975. The technology hub will be developed on a 75,000 square meter (m2) plot of land on the south-west side of the fair,” said Wassim Naghi, Chairman of UMAR. The main buildings of the Fair will remain untouched. The built property includes two small buildings, one which was supposed to be for Customs, and the other for administration. “We have received over 200 applications to participate in the competition since it was launched last week,” Naghi said. The registration deadline is March 18. The announcement of the winner will be made on June 28. The winner will collaborate with a local consultant to carry out the development of the plans. First prize winner will be awarded $60,000, second prize $30,000, and third prize $15,000. Honorable mentions could be awarded to exceptional and innovative proposals of high merit. “This competition is extremely attractive to architects because it involves the preservation of modern heritage buildings as well as the design of new structures within a campus currently listed on the UNESCO World Heritage Tentative List,” Naghi said. The jury includes Minister of Interior Raya Al Hassan, Jad Tabet, Head of the Lebanese Federation of Engineers and Architects, Bassam Ziadeh, Head of the Order of Engineers and Architect in Tripoli, George Kunihiro, Architect at T-Life Environmental Lab, Antonio Raffaele Riverso, Former UIA Region I Vice President, Francesco Bandarin, Former Director of World Heritage Centre and Former Assistant Director General for Culture at UNESCO, Ana Tostoes, Chair of Docomomo International, Fares Dahdah, member of Fundação Oscar Niemeyer Board, and Suha Ozkan, Former Secretary General of the Aga Khan Award for Architecture. Alternate jurors include Amale Andraos, Dean of Columbia Graduate School of Architecture, and Gustavo Utrabo, Architect at Aleph Zero.